Purchasing custom automation equipment is unlike most other capital equipment expenditures. Capital equipment purchases are often standard “catalog” items that have been researched, developed, optimized and sold over a long period of time. These off-the-shelf products are typically designed to accommodate a wide variety of customers. The purchase experience is predictable: buy, receive, plug in, and use for the lifetime of the equipment. Custom automation equipment, on the other hand, is designed for your specific process or product and is therefore unique to your requirements. As a result, the machines are essentially “first time inventions” and many times will not be duplicated. While there is commonality of components between systems (e.g. robots, vision cameras, pneumatics, etc. ), the tasks and requirements for each one are distinctive. The purchase experience is a collaboration between the equipment supplier and the customer from the earliest discussions of processes, products and design through installation, debugging, and integration of the equipment. Background Expertise. Even if the customer has internal resources available to maintain and continually improve the equipment, support from the supplier can supplement it. The supplier has spent extensive time with the machines and has intimate knowledge of the equipment functions, the developmental history, and the limitations of the machines. This background expertise can be helpful to the customer as time passes and new issues or opportunities for improvement arise. If internal resources are not available, technical support from the supplier assures the customer that the equipment will continue to operate consistently. Customers should never feel like they are alone and unprepared for the challenges of learning and operating the equipment that are tied to their company’s success. Transition of Ownership. Transition of ownership from the equipment supplier to the customer can take some time and effort. The supplier has spent months developing, debugging, and tweaking the equipment to meet the requirements of the project and is therefore very comfortable with the operation by the time it is installed. However, the customer is still getting familiar with machines at the time of production start-up. Often, manuals and training sessions are not enough to get managers, operators, maintenance staff and others proficient with the daily use and upkeep of a new automation system. To ensure a successful transfer of ownership, the supplier must play the role of mentor to the customer. Suppliers must assess the specific needs of each stakeholder and customize training for each need. This includes hands-on training, offsite training, production support, phone calls, etc. The goal is to instill confidence and provide tools to put the customer on the shortest path to assuming ownership. Long-Term Relationships. Most equipment suppliers want long term relationships with their customers, and solid technical support is a building block of this relationship. By providing consistent, quality support the supplier builds trust and becomes “one of the team.” This enables customers to comfortably solicit outside perspectives on issues and providers to assist in top-level planning for future projects. Both can learn from each other how to best service the manufacturing needs of the company. This is when good things really start to happen! 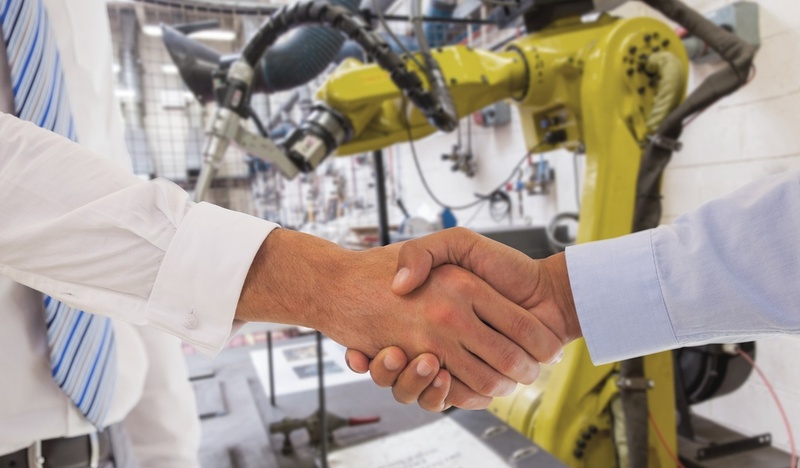 Once this relationship is established, automation projects grow more efficient, more predictable, and more rewarding. In custom automation, technical support requires a customized approach: acclimating customers to their new processes, building skills and confidence with the equipment and working together for the long term. At Force Design, ongoing support matters to us as much as it does to our customers.